Enjoy the top 5 famous quotes, sayings and quotations by Debra Doyle. Are you sure that's Val?" "No," said Freddie. 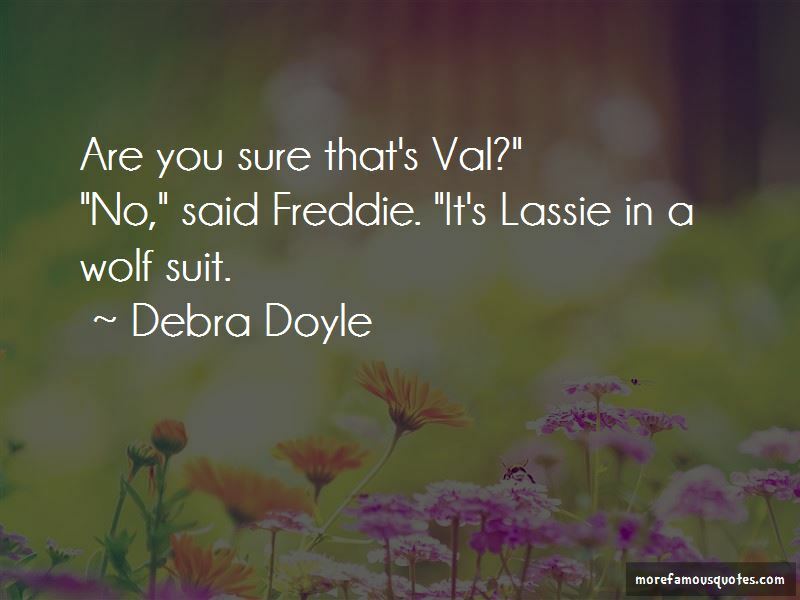 "It's Lassie in a wolf suit. 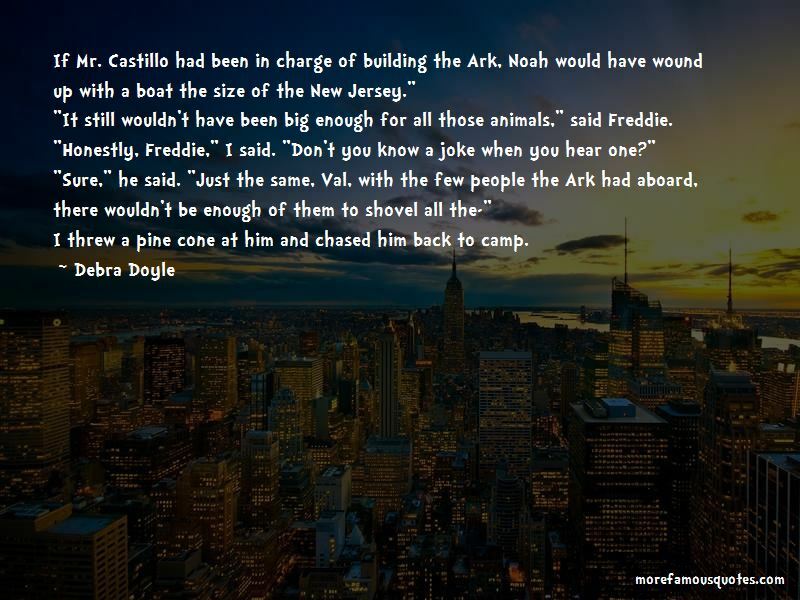 If Mr. Castillo had been in charge of building the Ark, Noah would have wound up with a boat the size of the New Jersey." "It still wouldn't have been big enough for all those animals," said Freddie. "Honestly, Freddie," I said. "Don't you know a joke when you hear one?" "Sure," he said. "Just the same, Val, with the few people the Ark had aboard, there wouldn't be enough of them to shovel all the-"
I threw a pine cone at him and chased him back to camp. 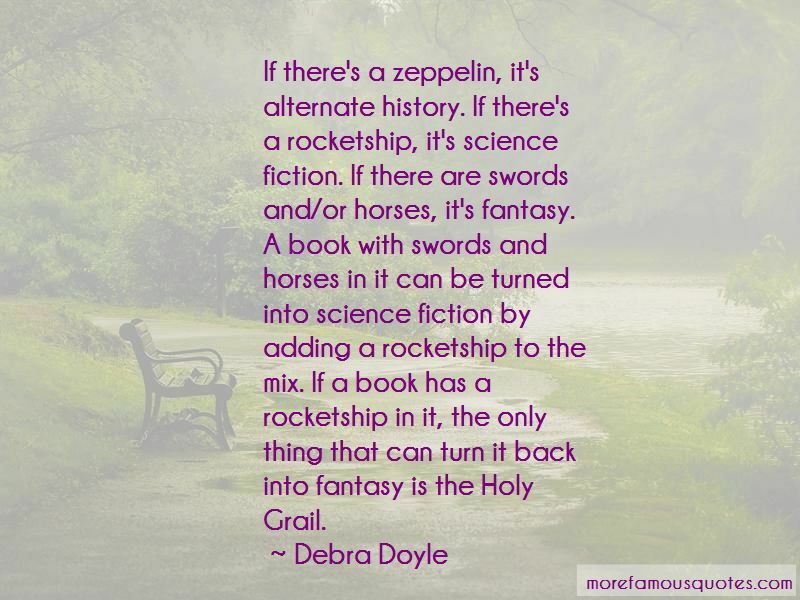 Want to see more pictures of Debra Doyle quotes? 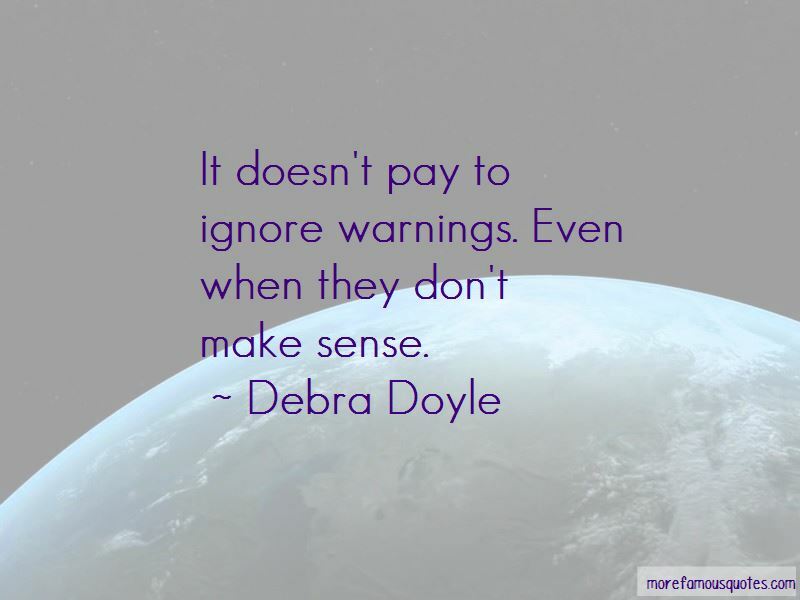 Click on image of Debra Doyle quotes to view full size.